When it comes to our current education system the lack of physical activity astounds me. The focus on books and test scores is literally dragging children down. We as parents can change this downward spiral. The answer is simple put activity back into your child’s education. Children are distinctly physical, they are bursting with energy. Children learn with all of their senses. When we get the children up from the table we open doors to lessons they will remember. Great educators rom history understood the importance of activity. Charlotte Mason taught educators to get kids outside each day where they can learn about the world around them with experience. This twaddle free education philosophy is a gentle approach to hitting the books, mixed with taking time to learn from the world around you. Waldorf is focused on hands on activities and play. Understanding that the child’s mind does not grow though sitting still but through experiences. The truth is these educators were onto something… Not sure I am right? Ask your child a math problem you feel is above their level. Keep asking until they get one wrong. Now pull out as many of something you need. Goldfish, pencils, forks whatever you have on hand. Now have them solve the math problem using the materials. Instantly you are involving the body through physical activity. Something clicks and your child can add, subtract, multiply, and divide simply because they went from mental work to a combination of mental and physical. You can use activity to give your student an advantage. Find your child’s interest, get outside, try a new sport, or just add basic movement to your child’s school day. Children with movement and activity in their day have better attention spans. Children need physical activity. Sanford published an article on the importance of recess in schools, including conflict resolution skills. Physical activity strengthens memory and focus. there’s a reason you used to sit so calmly for whatever lessen came after gym or recess as a child. The physical activity gave you an outlet for your excess energy and allowed you to focus, but studies have showing that not only does it help you focus, but really getting your blood pumping helps your memory. 4 tips to start boosting your child’s education with activity today. Start out early. When the kids get up get them started on an activity while they wait for breakfast. Getting the blood pumping before requiring the use of brain power will give them a boost for the start of the school day. Take “Brain Breaks” throughout the day. Brain breaks are about giving the brain a break and getting the body moving. They help your child get out those wiggles that distract them. Bring back recess. Even homeschoolers can benefit from a midday break to just get out and play. Take School on location. Get outside into the garden, look for deals field trips, Go on a nature walk, visit the library just get out away from the table and have fun. How has getting active helped your child? Join us on Instagram as we share 31 awesome field trips we have done. Great post! Movement is SO important! You’re right – we need to put movement back into learning. We can do it between subjects… but we should also look for ways to get the kids moving DURING subjects. Give them hands-on learning versus workbooks whenever possible. Especially when they are young – this makes such a vital difference! Yes! 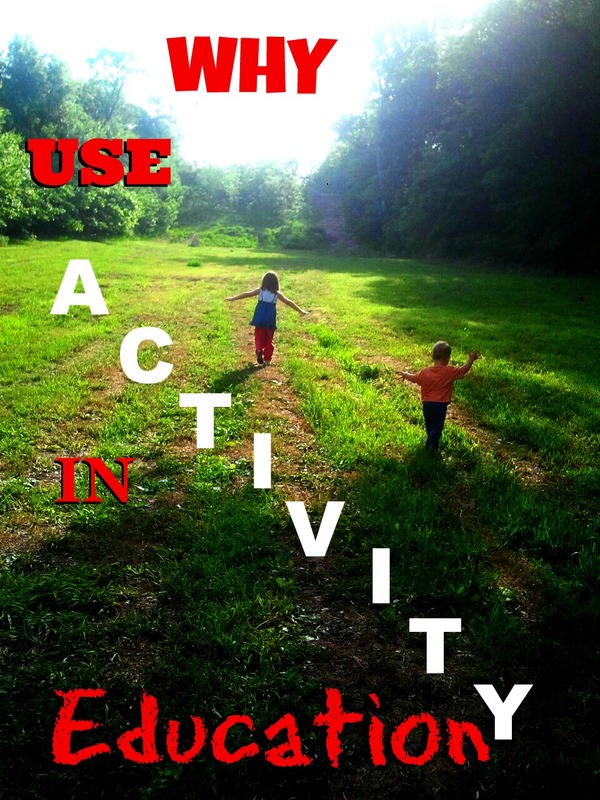 Watch out as this is just the introduction to this series all about ways to make homeschool fun and active. Every subject can be PLAY! Interesting…and it makes a lot of sense! Kids aren’t exactly made to just want to sit still for long periods of time. So very true. I think sometimes classroom teachers forget that they are up moving quite often even though everyone is “in the room” the same amount of time. Breaks are extremely important for my kids. If it is pretty out, I will take a break mid day and send them out to ride bikes or go to the playground. My oldest usually takes the dog for a walk which gets him out and breathing fresh air. I’ve seen vast improvements just by adding activity breaks. I agree with all of your suggestions. I find that if I give my children time to run around outside for a few minutes every half hour, they are happier and learn easier!